“You’re the Oscar guys, aren’t you?” asked the spike-heeled PR officer upon eyeing the press badge dangling from my neck, her voice exuding the steely sweetness they teach you on the first day of public relations boot camp. It was midway through the Venice Film Festival and I was too beat — or my mouth just too full of complimentary cheese — to rephrase her blunt description. I nodded in reply: yes, I am indeed “the Oscar guys.” One of them, at any rate. On the one hand, I could hardly argue, not least since we’d both just emerged from a film — Chilean auteur Pablo Larrain’s brilliant nightmare of a black comedy “Post Mortem” — that stands as much chance of securing an invitation to the Kodak Theater as Kim Kardashian does to the Kennedy Center Honors. Five days into the festival, and the only film screened that belonged in the Oscar conversation (following the critical belly-flop of Julian Schnabel’s “Miral,” at least) was high-gloss opener “Black Swan,” and even that was generating “too cool for the Academy” conclusions. Oscar-watching at European festivals, even blogger-inundated Cannes, is a pretty spotty sport compared to the FYC frenzy of Telluride and Toronto. Except I wasn’t there to Oscar-watch; I was there to see movies. And in that regard, there was as much for me there, or indeed at Toronto, as there was for anybody who really loves cinema, smooshed into a kind of happily haphazard sundae where Ben Affleck shares space with Abdellatif Kechiche. The autumn festivals may be seen as the semi-official kickoff to awards season, but what they really do is remind folks that awards contenders make up a paltry percentage of global cinema that’s worth a damn. Folks that are there, anyway. For while this vast film picnic is being spread out at the festivals, the blogosphere and the traditional entertainment media are doing their best to pack it back up again, zeroing in on the small handful of high-buzz or big-name titles with that O-word glow. The Golden Lion victory of Sofia Coppola’s “Somewhere” on the Lido was surprising for several reasons, but the fact that it beat “Black Swan” really was not among them; still, from the number of “Aronofsky and Portman lose” headlines in response to the news, a passive observer could be forgiven for thinking there were only two films in competition. One week later, as Toronto closed by giving pre-anointed Oscar heavyweight “The King’s Speech” its first gong of the season, I was struck by a comment from a reader following our listing of the fest’s remaining prizewinners. “What the hell are all those other films?” he asked, and whether it was written in a tone innocent or flip, it did point up how selective the festival publicity game is. Real awards buzz — the kind that lasts longer than the canapés served at the film’s after-party — is reserved only for the chosen few, and it’s not always born of critical, or even audience, affection. (Remember all those little gold men won by Toronto’s 2003 Audience Award winner “Zatōichi?” No?) Meanwhile, after their glitzy festival bows, any number of perfectly worthy films languish in distribution limbo, or simply fail to recreate that festival high upon their eventual release. It’s for this reason that, as much as we all enjoy tracking the blossoming arcs and occasional false starts of Oscar season, to obsess too single-mindedly over awards potential can be to sell both ourselves and the movies short — whether by putting inappropriate pressure on films that may find a different path to an audience, or by overlooking niche films that may have more staying power than today’s piece of prestige studio bait. Still, while I could have phrased it better at the time, my point was underpinned by a concern that awards season tempts us to evaluate many a title — even one, like Perry’s film, that engenders more suspicion than outright enthusiasm in online circles — as a contender before we respond to it as a movie, and rare is the film that emerges undamaged from that cart-before-horse trajectory. Recent Best Picture winners like “The Hurt Locker,” “Slumdog Millionaire” and “The Departed” were made into Oscar players only after critics, festival audiences or simply the paying public declared them worthy; by contrast, much-touted nominees like “Atonement” or “Up in the Air” had to earn their frontrunner status after it was bestowed on them, and, whether they deserved it or not, couldn’t take the strain. Last night, I had the pleasure of seeing “Made in Dagenham,” a film on which I laid my own gun-jumping awards expectations back in July, at a public screening in East London that I’m pretty sure held barely one critic or media commenter in its popcorn-munching audience. I had some misgivings about the sweet, slight film (none of them, however, with Sally Hawkins’s smart, empathetic performance), but my fellow filmgoers, who laughed, clapped and sniffled in all the appropriate places, clearly had none — and I doubt any of them left the theater contemplating its Oscar prospects. It was helpful, particularly as I look down the barrel of a long season that will produce another 22 of these weekly columns before we know what Oscar’s Best Picture of 2010 is, to sit with an audience that treated a movie as just that. Not only because I now know, when calculating its awards prospects, that “Made in Dagenham” plays, but because it’s a reminder that, should said prospects not come together, the film still has a purpose to serve. That’s true of numerous films, both far greater and far lesser than the chirpy Britpic, that won’t find a foothold in the season, but it should also be true of those that do: if the credits start rolling on a movie and the only thing you’re thinking of is how the Academy might like it, chances are it’s not worth your — or the Academy’s — time. 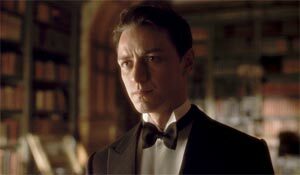 Atonement is one of the best films of the decade. Beautiful. Hi, Guy. Just came out of a screening for “Conviction.” Sam Rockwell is the best thing in the film and the only bonafide Oscar contender in my opinion. (The film seems too much like a made-for-TV movie but Rockwell is a standout). Brilliant start to the season with this column, Guy. Your final graph sticks the landing. Lodge, what sets you apart from other Oscar bloggers is your commitment to film over award prospects. While just about everyone else sees the major Oscarbait fare, along with some of the bigger American indies and foreign films from renowned auteurs, you go out there and explore and continually shed light on films that too easily fall through the cracks. I am always bothered by commenters who immediately ask about award prospects after a review, either from you or Tapley. As you note, that is what the site is for, but I feel a film should be seen and evaluated as art before any of that takes hold. So why do you work for an Oscar prognosticating website, Guy? A sincere question. Because it’s a great site and they’ll have me. It’s true though, in the end even if a film we love doesn’t get embraced by the Academy the way we think it should we still actually HAVE the film and that’s something worth celebrating. I always appreciate the fact that Incontention values the films over the awards chances. The main reason I continue to support this site over other websites is precisely because it discusses if a movie is actually good or not, instead of only discussing awards prospects. I love this site so much more for the critical analysis of cinema and trends in cinema than for the unimportant (although extremely fun) charts to the right. Hear, hear! So many times over. Guy, you’re awesome, and I hope you have your own site someday. Or get hired by a prestigious publication. Beautifully written even by your standards (and not just that bit). Needed saying, too. Bravo! Guy, do you think that viewing a movie only in terms of its “Oscar potential” affects the actual opinions of films for Oscar prognosticators? Very well written and argued piece, Guy. I think you hit the nail on the head with the audience responce to “Made In Dagenham.” What make s an Oscar movie work, as opposed to an arthouse movie, is being part of an audience that is swept away emotionally by a picture. In fact, my definition of an Oscar-worthy picture is simple: did you at any point forget that you are watching a movie? For me, at least, this is the main reason I go to see a picture and why Terrence Malick, for example, makes films I find so unsatisfying: I find myself looking at the movie, admiring the cinematography and so on, but never forget for one second that there is a man behind the camera, or that the score was composed in a studio. Any movie that makes me forget that it’s a movie is catnip to me, be it Jaws or Babette’s Feast. Everyone: Thanks so much for the kind words. I was hoping to start with a column everyone hated so I’d have room to progress over the next five months, but this will do. Patriotsfan: I do, absolutely. It’s very easy to feel let down by a film that is merely solid when it’s been sold to you as something akin to a religious discovery. On a slightly different tack, advance awards hype can actually breed resentment — if you simply dislike a film, having it shoved down your throat for four months solid can deceive you into thinking you hate it more than you actually do. I think we’ve all had that experience on a couple of occasions. Sharp analysis, as always. It’s silly how easily I get wrapped up in trying to anticipate the academy’s reaction before realizing my own. I feel guilty of this on an even more intimate scale. I don’t care about the Oscars but half way through a film I catch myself wondering, “what do I think of this? what am I going to say when people ask how it was? will it make my top 10 list?” It’s a terrible affliction. Yeah, I see your point Guy. Just this year, I would have to say that the build up of Inception prevented me from enjoying the film as much as I might have (although I still think it is a good film). And Chad, I ask my self the same questions when I’m watching a movie too. It’s annoying as hell, but I can’t seem to do anything about it, so I’m just kind of used to it now. Pablo Larrain is a Chilean director!! Not Peruvian. A question: Joaquin Phoenix has a chance to be nominated for I’m Still Here? Oh god, I apologise. Someone was talking about “Undertow” (the Peruvian Oscar entry) while I was writing, and my brain played tricks on me. As for your Joaquin Phoenix question, no way in hell will they nominate him. I got to this article rather late (somehow I missed it the first go round) but I just wanted to echo everyone else’s sentiments that it was beautifully written and a great start to the Oscar Season. Being obsessed with the Oscars it is often difficult to watch certain films without that “handicap” of only judging a film based on its chances to win awards, and that should not at all be the only thing going in one’s mind while watching a film. I look forward to more Long Shot columns throughout the season.